2014 Proposed Water Conservation OrdinanceThe Willow Creek Community Services District (WCCSD) owns and operates a 22 mile public water system that serves domestic water to approximately 934 service connections, with a population of 1,743 people. The source of the District’s drinking water is a tributary of the Trinity River in Willow Creek. In order to be compliant with State Surface Water Treatment Regulations, a new filtration plant was designed and constructed. Funds for the project were obtained from a $2,000,000 grant from the CA Dept. of Health Services and a $495,000 interest free loan from the State Revolving Fund. 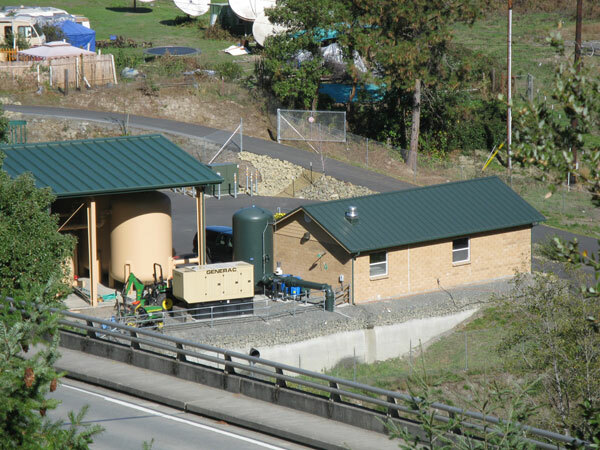 The new filtration plant, which sits at the mouth of the Willow Creek, was put into operation in June, 2007. All meter installation shall be in addition to a connection fee. Installations will include all costs of parts, equipment rentals, permits and labor. But this is not limited to such items. Plus there will be a coverage fee of 15%.